Summary: Be extra cautious when driving in or around construction zones this summer. In Missouri, many car accidents occur in construction zones in summer months. This may happen due to various reasons. 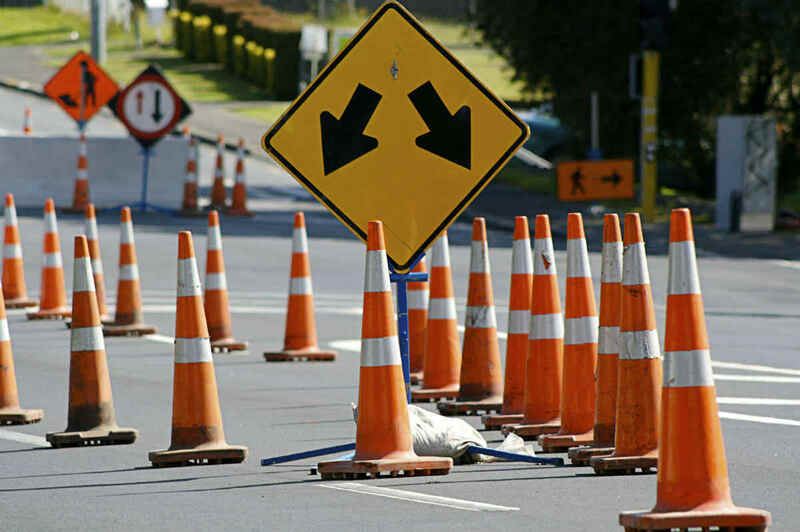 For example, construction workers may fail to put out proper signs and make it difficult for drivers to determine what type of construction activity is going on. However, even if there are proper road signs, construction zones make driving more dangerous. Both construction workers and drivers are at risk of accidents and injuries. In this post, our St. Louis Car Accident Law Firm will discuss this issue. According to the Centers for Disease Control and Prevention (CDC), an average of 670 fatalities occur in construction and maintenance zones in each year. In 2012, there were 133 worker fatalities in construction sites, and in 2013, 105 deaths were reported. This shows that construction zones are dangerous, meaning drivers need to slow down and be extremely careful when traveling around or through these areas. It is also the duty of construction workers to keep construction zones safe by putting up traffic cones and lights, and have a worker directing traffic in busy areas. In Missouri, around 53 people have lost their lives in the past 5 years in construction zone car accidents. During the same period, more than 3000 people have suffered injuries in roadwork zones. The state has assigned a taskforce to help prevent construction zone car accidents. Construction zones are dangerous for driving, because of various reasons such as presence of unexpected obstacles, falling debris, and moving heavy construction equipment. Today, construction zone auto accidents are happening at a higher rate than ever. Experts believe that texting and driving is of the biggest reasons. When a driver is approaching a construction zone, they have a very short time to react. If you are distracted, you cannot react as fast as you should. Also, there are more auto accidents in the construction zones, because of unexpected dangers. The driver may not know when traffic flow will change, or the worker will be working close to the driving line. Slow down! Do not drive above the posted work zone speed limit. Pay attention to the road and traffic. Avoid listening to music or texting and driving. Watch brake lights in front of you. Follow other drivers at a safe distance. Drive smart - avoid anything that takes your complete focus off of the road. Construction zone auto accidents can cause serious and life threatening injuries. If you have been hit by a driver in a construction zone, or you have got injured, because construction workers failed to put up signs or put out incorrect signs, you may have a personal injury claim. In order to get compensated for your injuries, you should get in touch with an experienced car wreck attorney. At The Hoffmann Law Firm, L.L.C. we focus exclusively on helping victims of St. Louis automobile accidents. Our legal team can evaluate your claim for free and begin investigating and building a strong case to get you the maximum compensation you are entitled to under Missouri law. Call (314) 361-4242 today for a free consultation.